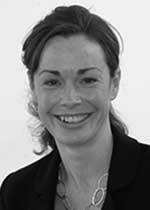 Ms Bromwich was appointed Consultant Urological Surgeon at Royal Bournemouth NHS Trust in 2009. She graduated from Bristol University, demonstrated anatomy at the University of Liverpool before completing basic surgical training in Plymouth. Her specialist urological training in Glasgow and subsequently Wessex was followed by an Endo-urological and Laparoscopic Fellowship at the University of Toronto, Ontario. She leads the stone service in Bournemouth performing all aspects of complex Endo-urology including flexible ureteroscopy, laser and percutaneous surgery in addition to general urology. Miss Emma Bromwich does not hold a share or financial interest in this hospital, another Nuffield Health hospital or the company. Miss Emma Bromwich does not have a share or financial interest in equipment used at this hospital or another Nuffield Health hospital. Miss Emma Bromwich does not hold any paid advisory role(s) at this hospital or on behalf of Nuffield Health.